We offer a free NHS flu vaccation service for all NHS target grous over the age of 18. All that is required is for you to fill out a form which our counter staff will help you with if needed. No appointment is required just come in from the 1st of October and ask for your vaccination. 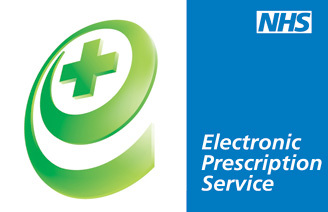 If you don’t normally use our pharmacy for your prescriptions don’t worry you can still get your vaccination – just bring along a repeat slip or other form of proof that you are entitled to an NHS vaccination (such as a letter from your GP). It’s safe to have the flu vaccine at any stage of pregnancy from conception onwards. The vaccine doesn’t carry any risks for you or your baby. Talk to your GP, midwife or the pharmacist if you are unsure about the vaccination. If you live with someone who has a weakened immune system, you may also be advised to have a flu vaccine. Your GP will inform you if this is the case, and we can confirm this with your surgery when you come in for the vaccination. The injected flu jab is recommended fro anyone who is severely overweight with a body mass index (BMI) over 40. If you care for someone who is elderly or disabled, talk to us about having a flu jab along with the person you care for.